Faye Alessandrello, Policy Manager at the Institute and Faculty of Actuaries, talks about the importance of understanding and disclosing exposure to climate risk. Whatever your position on Climate change, there is no denying that there is mounting pressure for businesses to be more transparent about their exposure to climate change risk. Last month, a pension fund member hit the news when he took his fund to the Federal Court of Australia for failing to disclose adequate information about what it knows regarding the impact of climate change on his investment and what it is doing about it. This case is one of the first of its kind and it is being closely watched because the principles that underpin it are likely to apply in other countries. In addition to the environmental and human costs, the Bank of England warns climate change poses significant risk to the financial system and could threaten to disrupt the financial stability of the global economy. 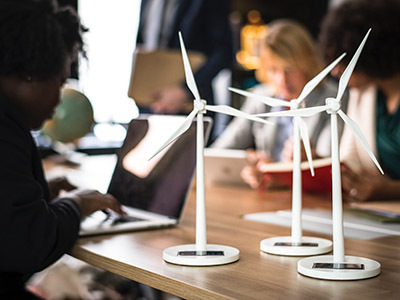 Given that actuaries are key players in the financial sector, the Institute and Faculty of Actuaries (IFoA) has done a considerable amount of work in recent years on the effect of climate change on the work that actuaries do. Last year, the Resource and Environment Board issued a Risk Alert to raise awareness around the financial risks posed by climate change. Alongside this, we have published specific guidance to help and support actuaries working in the pensions sector to understand how climate change should be factored into their work. Watch this space as we will be publishing more guides for GI Practitioners, Investment Actuaries and Life Actuaries over the next few months. We also recently supported the Department for Work and Pensions’ proposal to clarify that pensions trustees can and should consider climate risk in their work. We recognise that effective disclosure is essential to understanding the financial impacts of climate change. This is why the IFoA is a strong supporter of the Taskforce on Climate-related Financial Disclosures (TCFD). There has been a lot of buzz around the TCFD’s recommendations recently. The UK government has backed the voluntary guidelines and a committee of MPs has called for mandatory rules which require pension funds and UK-listed companies, including banks, to disclose their exposure to climate-related risks. The TCFD’s recommendations, published in June 2017, provide a framework for companies to deliver forward looking disclosures about climate-related financial risks and opportunities. The recommendations are voluntary but the growing list of global supporters suggest that the financial sector is heading towards a more proactive position. The fund member bringing the Australian court case may be an extreme example, but we should all care about having the right information to be able to plan for ourselves financially. Private enterprise is the bedrock of wealth creation in the economy. We all have a financial stake in their adapting to an uncertain future and continuing to grow. We will be invested in them through our pensions. Our future livelihood depends on being able to make informed decisions (or professionals doing so on our behalf) about which are likely to have a prosperous future. So it is important that we know how companies are responding to the risks they face.